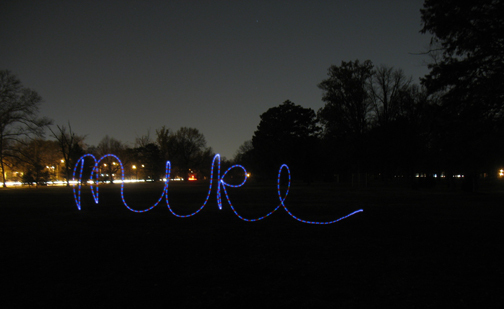 …wrote my name in LED light. I’m pretty flattered. Thats awesome… I gotta figure out how to do that one day. THAT IS AWESOME. I must figure out how to do that.